The following product was gifted in exchange for an honest review. When I contacted Banyancraft to participate in my blog’s upcoming 1st page anniversary on Facebook I was excited to see which product they would send. Since working with them, I have been very fortunate to receive two of the products (here and here). I was given the choice of either the Black Resin and Brass Bangle or the Blue Peace Cuff Bangle. I chose their Blue Peace Cuff Bangle. The following is my review of the product. The four different colors (silver, white, royal blue & turquoise) worked well together. No color is overpowering. 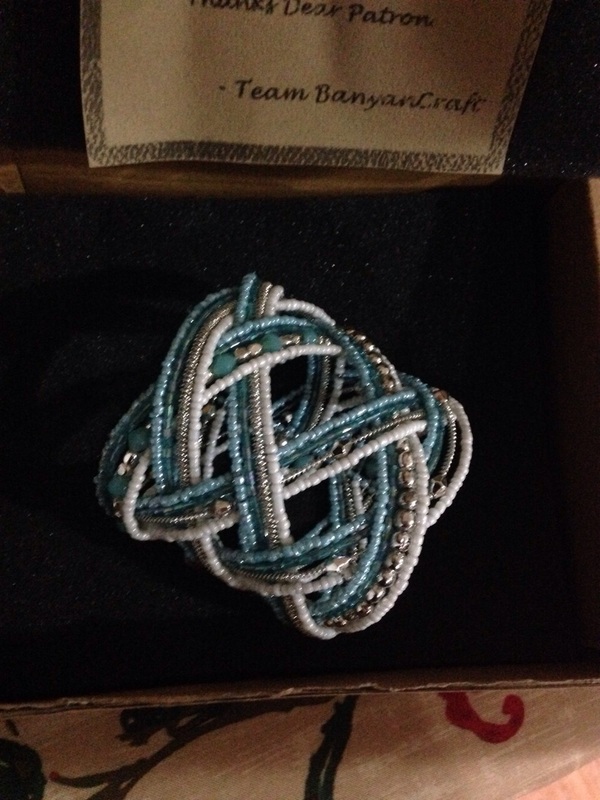 The beading is done well especially how it intersects into the cuff. 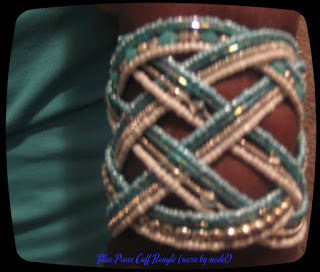 Also, the choice to use different types of beads really adds to detailing of the bangle. It didn’t quite fit my wrist. I think it would fit those with a slender wrist (seen model above). Overall, I found this cuff to be beautifully done. It can be worn on several occasions (out to dinner, fashion show, & etc). 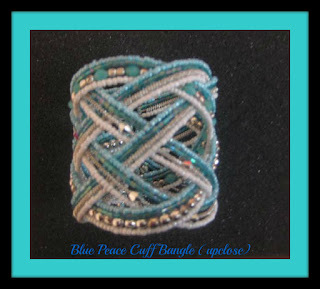 Blue Peace Cuff Bangle retails for $24.99 on BanyanCraft’s website. You can head over there to see other products that they offered & learned more about the artist behind this cuff. 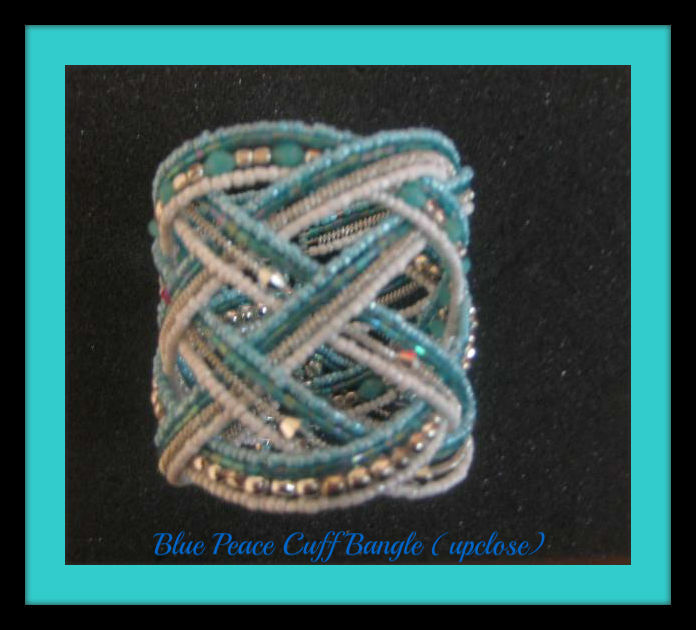 As I mentioned earlier I am giving one lucky fan a chance to win this gorgeous cuff. On July 14th, I will be having a giveaway as part of My Own Sense of Fashion 1st page anniversary. In order to enter you have to like Banyancraft and My Own Sense of Fashion on our Facebook pages. Good luck!